From the 2017 model year on, it will be slightly harder to distinguish the hardtop smart fortwo from the fortwo cabriolet which is just arriving on the market. 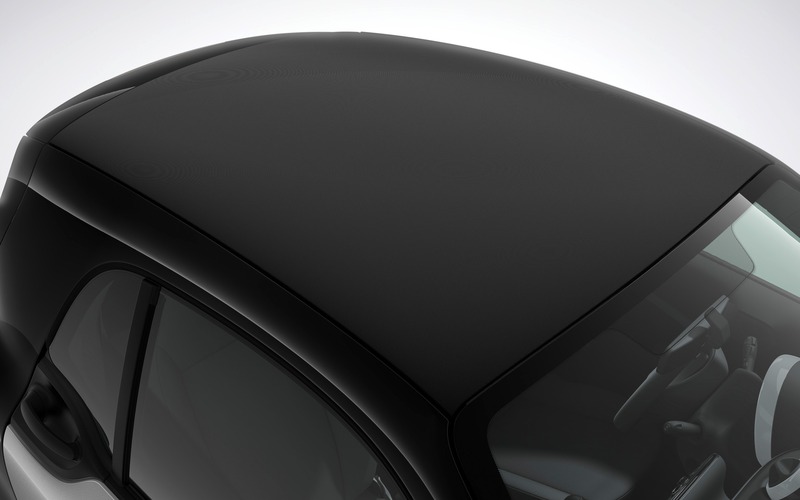 The pure and passion trim levels of the fortwo coupé will get a black fabric roof covering, while the prime version will keep its panoramic glass roof. Wait—doesn’t a cloth-covered roof have an impact on the car’s aerodynamic drag? Maybe, but at the speeds smarts usually travel, we guess this isn’t a major issue. As for the 2017 smart fortwo cabrio, we can choose between three top fabric colours, including black, brown and beige. The smart fortwo is equipped with a turbocharged, 0.9-litre three-cylinder engine that produces 89 horsepower and 100 lb.-ft. of torque. It can be matched to either a five-speed manual gearbox or a six-speed automated transmission with manual mode. The fully electric version of the new-generation smart fortwo hasn’t yet been unveiled, but we’re expecting it to appear before the end of the year.